The Burmese peacock turtle is an aquatic turtle found in the lower reaches of the Ayeyarwady (Irrawaddy) River in southern Myanmar and also possibly found as far north as Mandalay and in the Doke-tha-wady at Shwe sar yan. It has a domed shell that reaches around 9 inches in length. Color ranges from light to dark greenish brown. Its underparts are yellow and it has pale yellow eye-like circles that appear on each scute (bony sections covering the shell), giving it it's name. Two yellow streaks appear on each side of the head. Burmese peacock turtles are found in rivers, swamps, streams, and ponds. Sometimes they are observed stranded on the land during the dry season. Little is known about the reproductive behavior of this species. Although the species appears to be abundant and are widely available in local markets, it is listed as endangered with the US FWS. 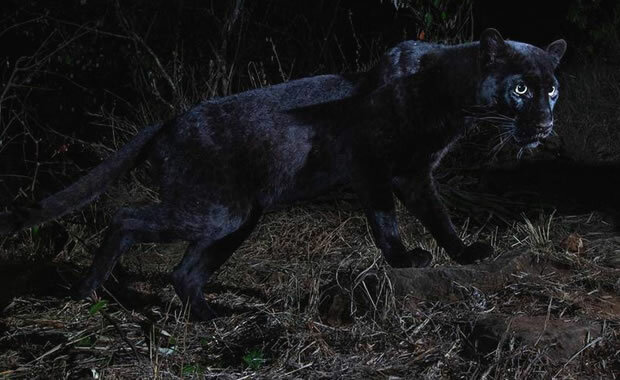 Threats to the species may include habitat degradation and overcapture by the Chinese market for medicinal purposes. Copyright Notice: This article is licensed under the GNU Free Documentation License. 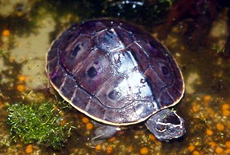 It uses material from the Wikipedia article "Burmese eyed turtle". Glenn, C. R. 2006. "Earth's Endangered Creatures - Burmese Peacock Turtle Facts" (Online). Accessed 4/20/2019 at http://earthsendangered.com/profile.asp?sp=475&ID=3. Need more Burmese Peacock Turtle facts?